After getting bolder about foraging for nettles and herbs around our neighbourhood, we've started getting mussels and seaweed when we go to the beach. We ate a lot of seaweed back in Boston- packaged, dried, salted and with sesame oil. Here in Cape Town, Korean-branded seaweed is pretty expensive and packaged with a lot of plastic, so it's pretty exciting to try out drying our own. 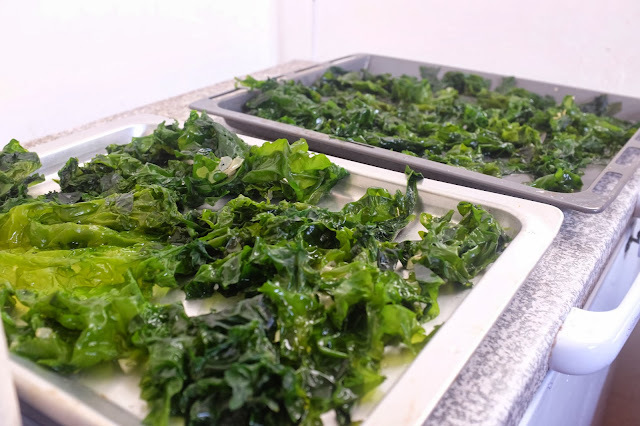 Noah and Eli love picking it out of rockpools, and now is the perfect time to forage- the sea lettuce is plentiful but there's less likelihood of red tide etc.- apparently that tends to happen late summer. As for mussels, we just get enough for Noah and Eli (10-15 at a time), as an extra source of protein and for the excitement of eating them soon after we get home from the beach. I choose places where they're very plentiful and where the clean waves wash over them. There are a few spots in Sea Point that are perfect.